This highly respected industry association, the "Internet Advertising Bureau", has somewhat of an identity issue as far as I can tell because sometimes their name appears as "Interactive Advertising Bureau". Anyways, they are most commonly referred to simply as the "IAB" and they recently supervised, and subsequently audited an extensive research study involving over 19,000 American automotive consumers... Which is the focus of my article. The researchers were able to identify and validate a smaller subset within this large group of 6,201 automotive consumers who intended to buy a vehicle within the near future. 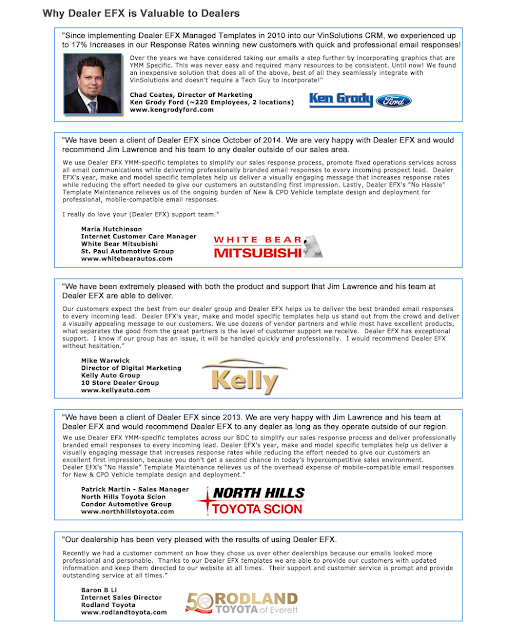 These car buyers identified themselves as being "in the market" for a new or used vehicle. The IAB research team refers to these car buying shoppers as "Auto Intenders". "Do you plan to buy/lease a car/truck within the next 6 months?" The resulting report is derived from both the larger group of automotive consumers who were NOT in the market, as well as the 6201 respondents surveyed online who were identified as being true car buyers, or Auto Intenders. 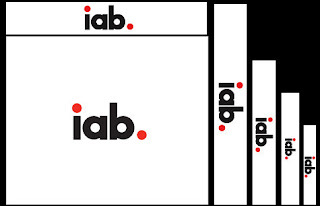 According to IAB the statistical validation and methodology used to aggregate all this data is the well regarded "Annual Media Behaviors and Influence™ (MBI) Study. The data and the conclusions presented in the numerous charts I have inserted below were so well gathered, with a large enough sample size as to yield a standard deviation statistical analysis error rate of less than 1%... At a 99% confidence level. Dang! I would be proud of ANY work I've ever done that came in with that level of statistical accuracy. What I see as most relevant to ADM Members is that this IAB research went through a ton of people to identify the most likely car buyers, and for most of us these are the people we are primarily concerned with... Along with what influences them and how people who are in the market for a car are different than those who are not "Auto Intenders". You will notice on most of the charts (shown below), the influence and behaviors of both the car buyers and the non-car buying "General Public" are tracked and displayed. Auto intenders are young (half are under 35), male, married parents, ethnically diverse, higher earners who are more likely to be Business Owners or Professionals and more likely to live in the South. Dream car delayed, but not denied... Many Auto Intenders say they have deferred their auto purchases in the past month (26%). Auto Intenders are more likely to do online research for products before buying (96%), especially cars (29%). While researching vehicles online, auto intenders are likely to be swayed by auto ads. Auto Intenders are more likely to be influenced by internet ads across all categories when compared to the general population... Car Buyers are 71% more likely to be swayed by automotive advertising they experience while on the web. All media types influence Auto Intenders' vehicle purchases, emphasizing the importance of a good media mix that includes digital. While taking in various forms of media, these media often trigger Auto Intenders to do product searches online. They do searches for autos and are highly influenced by sponsored search results (twice as influenced as the general population). In other words, a magazine article or TV commercial might influence an Auto Intender to do an online search or research, where they're more likely to be influenced by sponsored search ads and other digital display ads. Auto Intenders are more likely to own a mobile device with higher smartphone ownership (75%) among Truck, Minivan and Crossover shoppers. Hybrid, SUV, Electric, Minivan or Truck shoppers are more likely to own a tablet (42%). Auto Intenders are more likely to comparison shop, online (34%) or on a mobile phone (14%) and to search using a variety of devices. Auto Intenders are also heavier video streamers both online (69%), where they're more likely to notice a video ad (66%) and on their Mobile devices (52%), in which 8% report being influenced by mobile video, which is twice the purchase influence of General Population (Adults 18+). Auto Intenders are more likely to do a wide range of online activities more regularly than the general population. Since Auto Intenders are more regularly online, and more likely to own and use mobile devices, the internet is the place to reach them across all their devices.